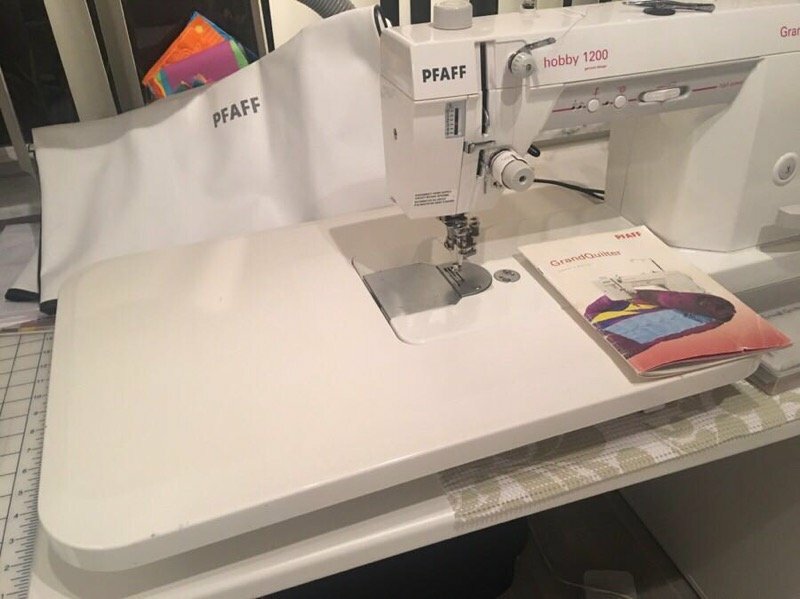 This Pfaff Hobby 1200 Grand Quilter has only been owned by me for about 1 year, I purchased it from a good friend in my quilting guild while looking for a sewing/quilting machine that could be easily transported. It has been very well cared for and operates smoothly. 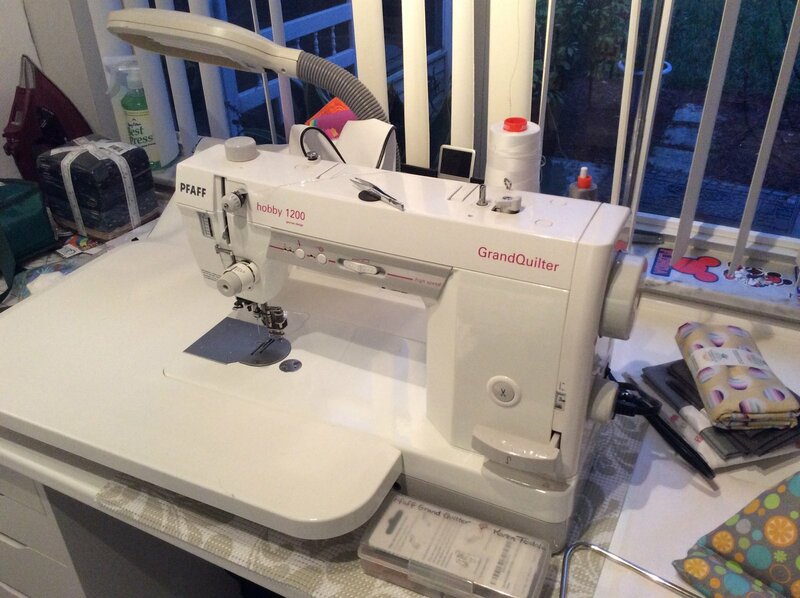 This machine is straight stitch only and is semi commercial with a lot larger motor than a standard household machine. Can be picked up, or you can pay postage and handling and it can be shipped upon secured funds. These machines do not have feed dogs that drop, so you cover them with a plate. 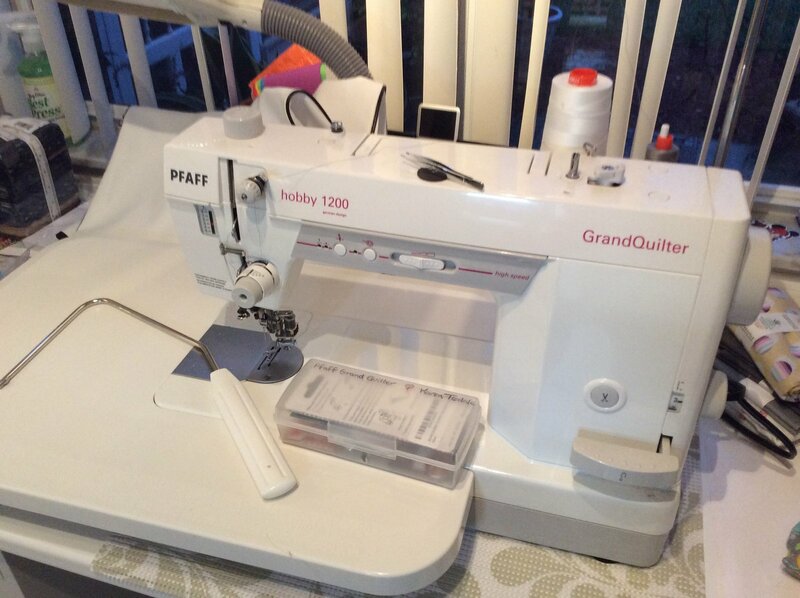 I have been free-motion quilting with it and it’s great for free motion. 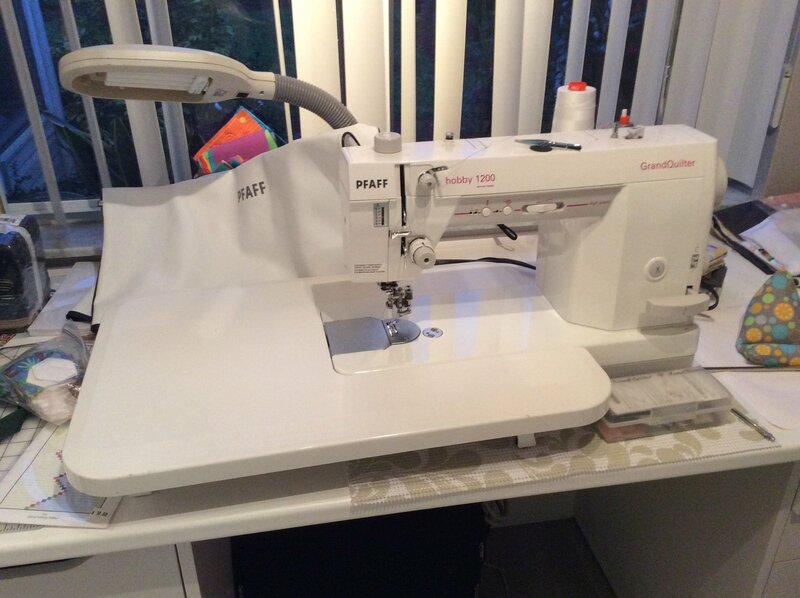 The power is certainly there for home decor fabrics as well as quilting It does also have the built in speed control. How much throat space does this machine have? how much would shipping be to 78414? Is this machine still available? We’re looking for a sturdy machine to repair blankets for retired greyhounds rescued from the racing tracks.